Todd Williams says that as a project manager, your reputation, your job, your career, and your entire organization could be at risk if a major project fails. Todd should know – he is an internationally known leading authority, consultant, speaker, and educator on project auditing and recovery. 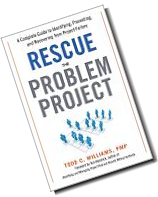 In this interview, Todd shares the big ideas from his latest book “Rescue the Problem Project” and provides an overview of his practical, battle tested and proven methodology for identifying, preventing, and recovering from project failure. In your book “Rescue the Problem Project: A Complete Guide to Identifying, Preventing, and Recovering from Project Failure”, you say “Of all the goals I went after in my life, recovering projects was not one of them. Instead, recovering red projects came after me”. How did you get interested in recovering troubled projects and why do you find these types of projects interesting? You say that “a tight and dedicated team, with near gang mentality, is one of the most powerful and efficient groups you will find”. Describe to us some of the key characteristics of a good recovery project team. You talk about 4 lessons that you learned from recovering projects. Talk to us about each of these lessons and why they are important. Lesson 1: “The team knows what needs to be done”. What causes management not to listen to their teams until problems reach a critical mass? Yet they will listen to an external consultant. In Chapter 3 on assessing human role in project factor, you say “People are the critical piece in determining a project success or failure. They approve the inception, allow scope creep, define the critical solution, and levy constraints”. This last statement of “levy constraints” struck me as one factor that usually gets under-diagnosed when investigating causes of failure. Yet, a constraint established early in the project planning, can be responsible for limiting downstream options for decisions and solutions which may cause major issues down the road. 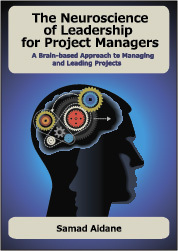 In Chapter 11 on Agile, you describe how you use agile and that project managers should not shy away from tailoring the processing for their projects. Give us a couple of example agile processes that you had to tailor for recovering projects. 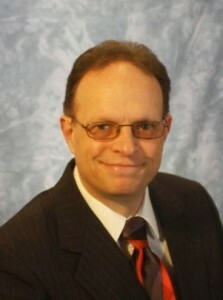 Hi there – I work for a risk analysis software company here in Houston, TX. We’ve worked hard to offer a product that will help project managers have a more realistic project schedule from the start. I really liked your point about understanding your team, how they work and how they respond to you as the PM. Feel free to check out our new risk analysis software, Full Monte.